The rate of pay as a locum pharmacist will vary throughout the UK, average rate of pay can change based on geographic factors. The average can really be anything from £14-£26, but you need to ensure that the pay you are receiving is reflective of your experience and skills. 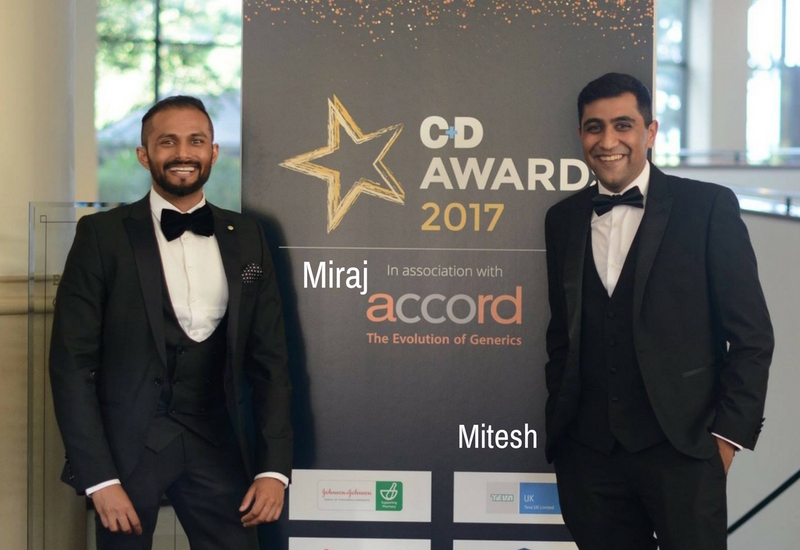 It would be wrong to assume that a newly qualified locum pharmacist with very little experience should expect the same rate as that of a seasoned pharmacist with ten years’ experience and multiple different PGD’s and postgraduate diplomas under their belt. Knowing how to negotiate and when to negotiate is of paramount importance, just make sure you’re negotiating in the right direction and you have a clear strategy in place when you are in a situation where you are asking “I was wondering if there was any flexibility in the rate of pay, as I was expecting a bit more?” Here I present some top-tips in building that strategy. The first step in making sure you are able to negotiate the best possible rate, is to know what other locum pharmacists are earning where you are intending to work. Before seeking to negotiate a higher rate of pay as a locum pharmacist, make sure you speak to other locums and research the average hourly rates offered online and on social media groups. In towns and cities where there are fewer pharmacists available, the ‘going rate’ will certainly be higher, in comparison to cities which are more saturated with locum pharmacists. Take for instance a locum pharmacist who has been paid £30 an hour in the Isle of Wight for a week, with travel, hotel, and food expenses covered. The same locum pharmacist shouldn’t expect to receive a similar rate of pay in London, where there is an over-supply of pharmacists. Make sure you know the ‘going rate’ in that town or city before entering any negotiation with a potential employer. Safeguarding children and vulnerable adults: this course is increasingly relevant and most employers ask for all their professionals to be up-to-date with training in relation to safeguarding and protecting vulnerable patients from neglect, harm, or abuse. Emergency contraception: an important course that will help in building the skills you have as a locum pharmacist. This course will help you identify who may need advice and support, how to provide support and the best course of action to take in relation to emergency contraception and signposting where required. Stop smoking support: being able to offer appropriate advice and support to patients wanting to quit smoking is another course which is becoming increasingly popular. The majority of cardiovascular MUR’s that you carry out will also offer self-care and lifestyle advice to your patients, have you considered becoming accredited with the National Centre for Smoking Cessation and Training? Repeat dispensing: repeat dispensing accounts for a large percentage of all items dispensed in community pharmacy. A course in repeat dispensing will give you the necessary knowledge in fulfilling this essential service, knowing who is suitable for repeat dispensing, record-keeping requirements, and procedures relating to repeat dispensing will be handy to any locum pharmacist. Flu and travel vaccinations: community pharmacy is diversifying in the services it offers; travel clinics and flu vaccinations are now readily available in most pharmacies. If you want to really stand out as a locum pharmacist, build your knowledge relating to CPR, First Aid and undergo vaccination training. Most of these courses can be accessed on the CPPE website. PGD’s are also becoming increasingly popular, the more you can offer, the better rate of pay as a locum pharmacist you will get. As a locum pharmacist you should base your negotiation on various different factors. Base the hourly rate around the workload you are expected to undertake whilst working. A busy pharmacy with fewer staff members certainly warrants better pay, and you shouldn’t be shy in asking. Different days of the week will also attract different rates of pay; its common knowledge that finding a locum on a weekend is more difficult and challenging, since most people want the weekends off. But that also means you are likely to expect a better hourly rate. If you are looking to work in a busy community pharmacy with two adjacent surgeries, doing surplus 15,000 items each month, then make sure you are asking for a higher hourly rate, than a distance-selling pharmacy which doesn’t offer any extra services to its patients. If you are offered a shift, and you are happy with the hourly rate, then make sure you leave a lasting impression. 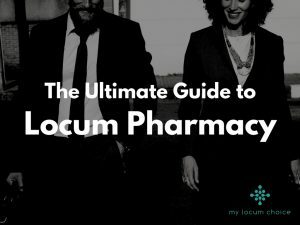 Most pharmacies have a favourite locum pharmacist, or at least a bank of locum pharmacists who are reliable, professional, and who go that extra mile in serving their patients. In the future, when it comes to being offered a shift, employers are likely to increase hourly rates for locum pharmacists who are proven to offer an excellent service, with little disruption. If you impress the pharmacy team on the shifts you work, then expect to be called back, with the possibility of a better rate of pay as a locum pharmacist. My Locum Choice has over 3000 locum pharmacists using its services regularly. My Locum Choice works with thousands of pharmacies across the UK, ranging from independent pharmacies to national chains. The My Locum Choice App allows you to search for shifts according to your preference, receive invitations from pharmacies directly, and keep track of shift payments. With the App all you need to do is Search, Select, and Book Locum Shifts. Download the App now and begin making your life as a locum pharmacist a lot easier. This article was written on behalf of My Locum Choice by Hassan Riaz from Pharmacy Mentor.